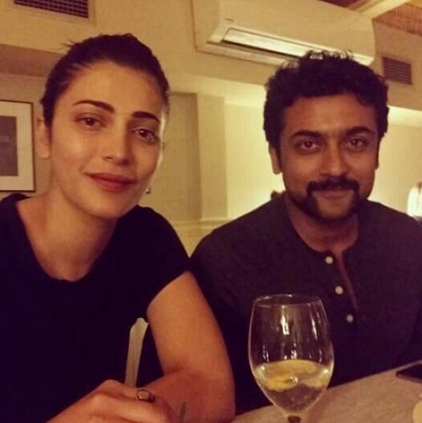 Singam 3 or S3 featuring Suriya, Anushka, Shruti Haasan and others is directed by Hari. The third in the Singam franchise is said to release on the 16th of December. Meanwhile, the shooting of the film is wrapped up recently and the lady lead Shruti took to her Twitter page to say, “And it's a wrap on Singam 3! In the words of jay z "onto the next one " #workmode #makingmovies”. The unit was recently at the picturesque Georgia to can a song sequence. With this wrap, the team gets busy with the post-production work. Singam 3 also has Soori, singer Krish and Thakur Anoop Singh in key roles. Arulnithi blessed with a baby boy! Highest collecting Tamil films - From Rajinikanth’s Enthiran to Vijay’s Theri! People looking for online information on S 3, Singam 3, Suriya will find this news story useful.